Buying furniture can be confusing and difficult. 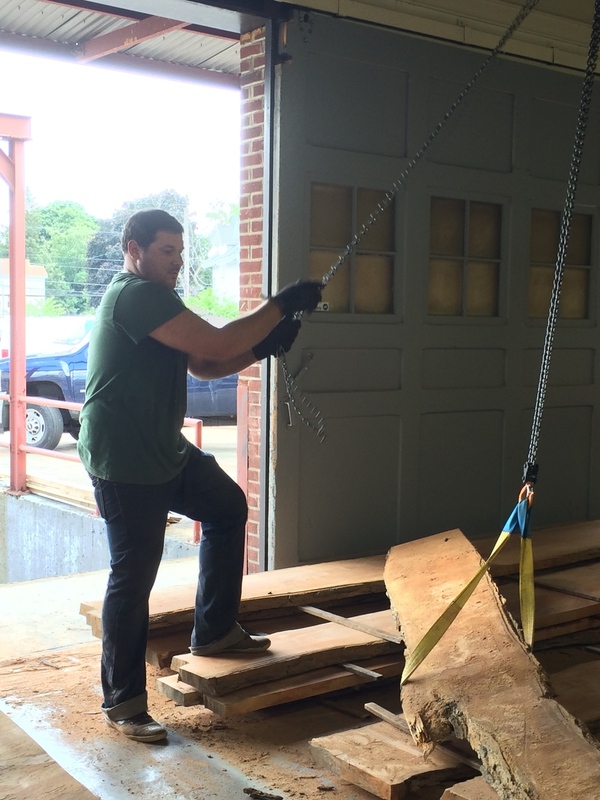 Often times this is because we dont know where to begin... Building furniture here in Rhode Island gives us a great advantage because we are able to locally source our lumber, meet with clients, and deliver our pieces without much travel. Here at Hopes Woodshop we pride ourselves on making sure that we are sustainably harvesting local trees. This means we primarily use trees that may have come down in a storm or were yard trees that were dangerous for homeowners and their homes. 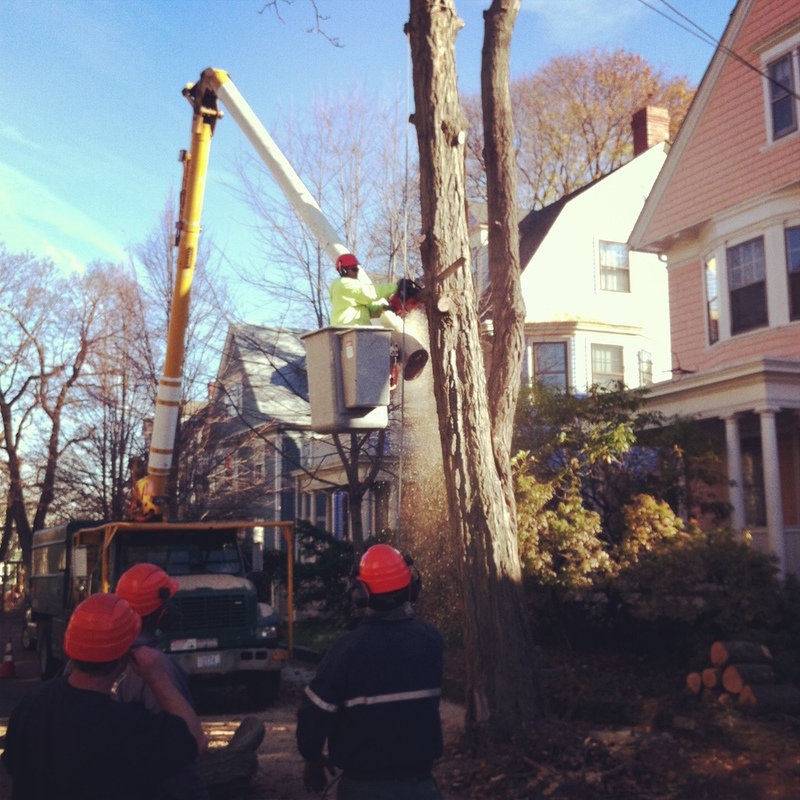 6 months ago I received a phone call at 7am from a friend that the Sugar Maple tree was coming down in front of her home in Providence, RI. I jumped out of bed and rushed to see if I could save this log from being firewood. As you can see from the photos below, I was successful! We work with a local Sawmill in Coventry RI, that take these trees and mill them into usable lumber that we can build our furniture with. 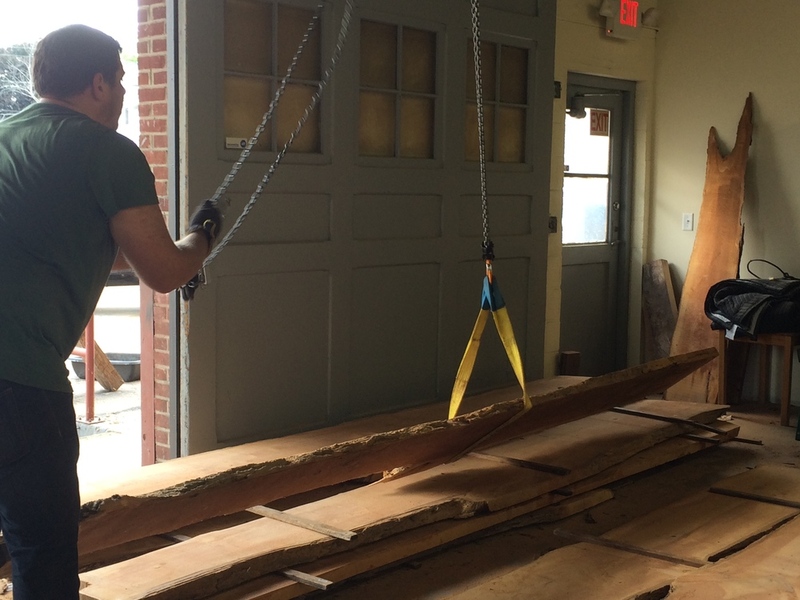 Once the lumber is milled, the drying process begins. This takes anywhere from 1-2 years until the lumber has reached its optimal moisture content of 7-10%. Below are photos of the stickering and stacking process. See you in 2 years! This lumber sat in my shop for 2 years drying before it became a beautiful farm table. To learn more about wood movement and moisture content please check out "Understanding Moisture content and wood movement".